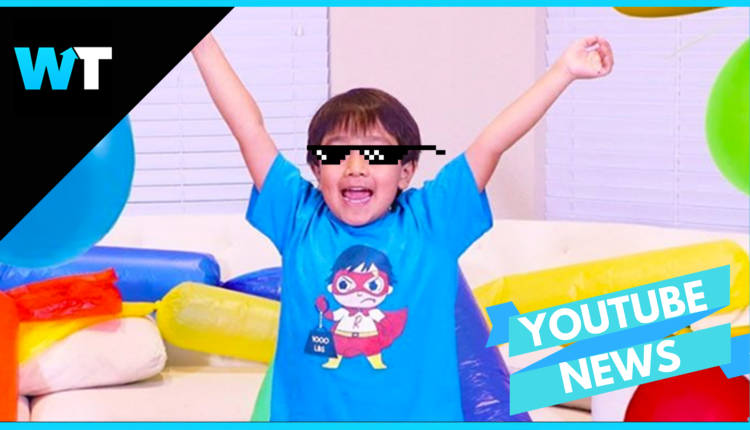 Ryan ToyReviews, presumably run my this 7 year old’s parents features a cute and bubbly Ryan playing with toys and telling his 17 million subscribers what he likes. This 7 year old is making millions from Toy Reviews on YouTube. Ryan ToyReviews, presumably run my this 7 year old’s parents features a cute and bubbly Ryan playing with toys and telling his 17 million subscribers what he likes. Ryan was just named Forbe’s highest earning YouTuber in 2019 with an income of $22 million. Ryan became popular with his unboxing videos and works with children’s toy brands to bring in a lot of dough. Other stars that made the Forbes 2018 cut ate Logan Paul, Pewdiepie, Jacksepticeye, Vanoss Gaming, Markiplier, Jeffree star, DanTDM, Dude Perfect, Jake Paul and of course ringing in at #1 our man Ryan. So why would kids want to watch someone else play with toys rather than just play with toys themselves? In October, it was announced that Ryan’s channel will be repackaged and distributed on Hulu and Amazon. 7 year old Ryan serves as his company’s creative director, and 15% of Ryan’s earnings are funneled into what’s called a Coogan account, which is protected until he becomes a legal adult. The original Coogan Account bill was passed in 1939 by the State of California in response to Jackie Coogan, who earned millions of dollars as a successful child actor only to discover, upon reaching adulthood, that his mother and stepfather had spent almost all of his money. And he, along with many other psychologists, are worried it will cause long-term psychological harm. But what do you think about child YouTube stars? Do you think it’s cruel or harmless? Let us know in the comments or on Twitter at @WhatsTrending.